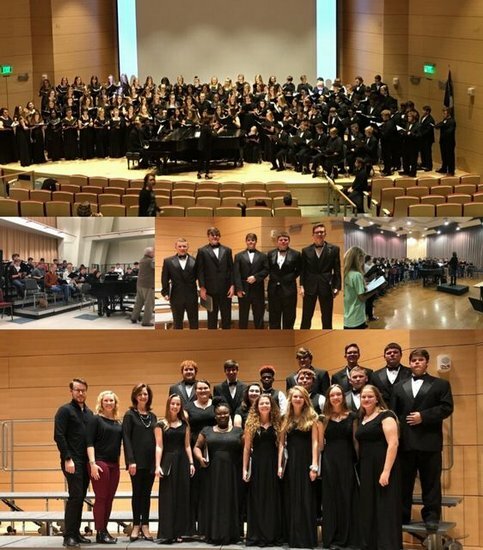 On Thursday, January 24 and Friday, January 25, seventeen Mid-Carolina chorus students attended the 2018 SCMEA Central Region Choir. These students learned 6 college-level pieces on their own and then worked with Ms. Bridges to perfect the notes and rhythms before traveling to USC Thursday evening. Students were joined by students from 6 other high schools and conducted by Dr. Alicia Walker, Associate Director of Choral Music at USC, from 7-10pm Thursday evening and then all day Friday with breaks for lunch and dinner. 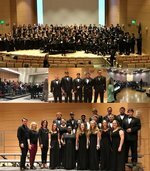 Students then performed a beautiful concert in The Hootie Johnson Performing Arts Hall in the Darla Moore School of Business. Bravo to all students involved in a successful weekend! Parker Metts, Jerran Long, Emily McCullough, Emma West, Katie Koon, Ashleigh Charpentier, Travis Haltiwanger, Hailey Roach, Jasmine Wheeler, Jeremy Hollowell, Alice Montgomery, Alex Berry, Harmon Vinson, Chavis Davenport, Isabella Perez, Chandler Berry, and Judah Rendelman.